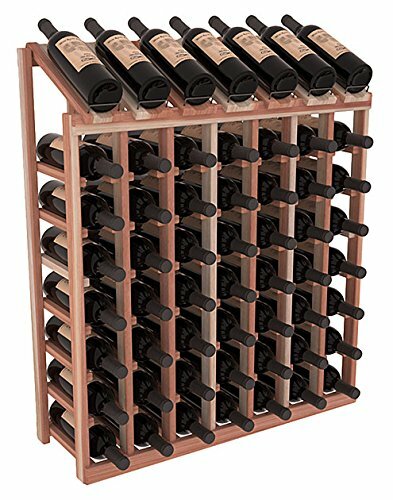 Wine Racks America Redwood 7 Column 8 Row Display Unit – My Home Wine Bar ! Amazon Price: $338.41 $287.65 You save: $50.76 (15%). (as of February 3, 2019 4:16 pm - Details). Product prices and availability are accurate as of the date/time indicated and are subject to change. Any price and availability information displayed on the Amazon site at the time of purchase will apply to the purchase of this product. Store 56 wine bottles while safely showing off and displaying seven of your best vintage bottles. Our display top racks are built to expand with all installableTM kits or as a stand-alone unit. Display top wine racks are perfect for commercial or residential environments. Also – thirteen alternative finishes !